Thread: Looking for a new account,for a fresh start! Its been a while since I've played. & I really want to start over fresh! I would really appreciate if someone had a spare unused account. I want to start over right, and do my best with my ship waifus. NO WAIFU = NO LAIFU! @Lotus Senpai Just go use a new email address and make one yourself? Lotto system has been over for awhile now. As I post there are slots open in Shortland, Rabaul and a few in TawiTawi. Personally the only reason I'd start a new account is to re-familiarize yourself to the mechanics so you dont do something stupid; then go back to you main. Maybe unless you made a mistake with a ring or other limited item and you really dont have any money. Otherwise it's gonna take a long time to get back to where you were and then have even more ground to cover. Last edited by chronomeister; 09-28-2016 at 04:14 PM. Bismark is sort of a good indicator that you have spent quite some time on that account already. @chronomeister My mistake is that I sunk Akagi-chan.. D: & You can't get her back right? 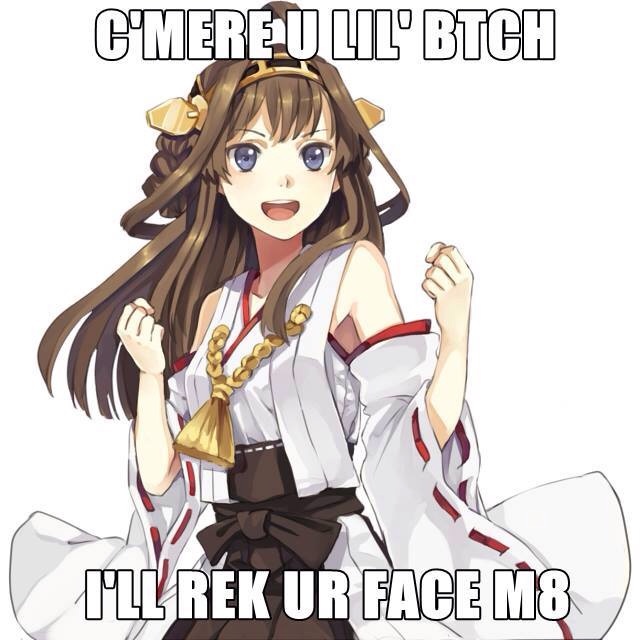 @Lotus Senpai Akagi is a regular drop in most maps and can be crafted from any CV recipe.